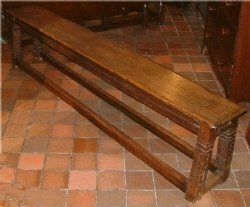 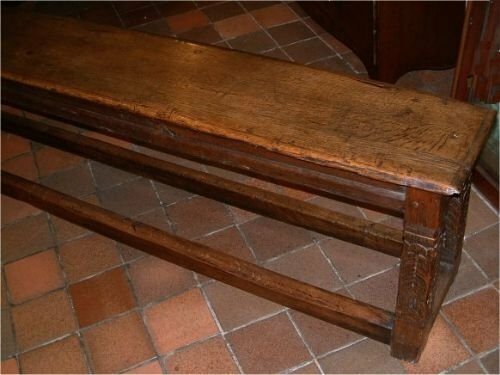 Unusual Georgian Oak Bench with Carved Legs, Good Colour & Patination. 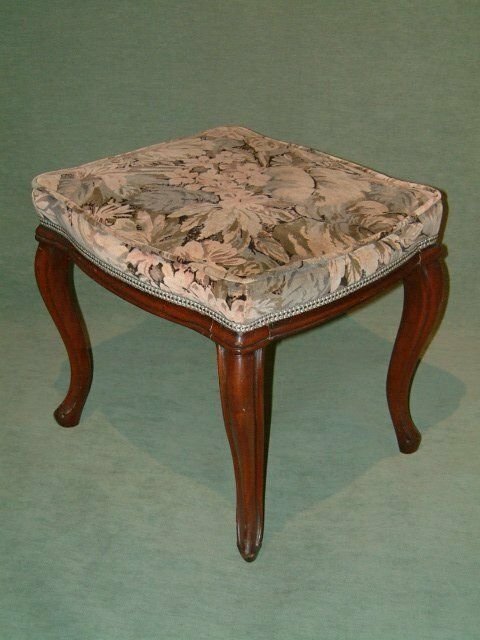 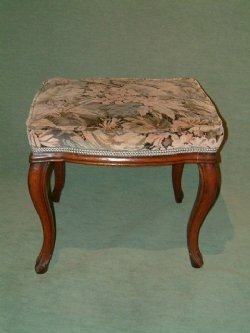 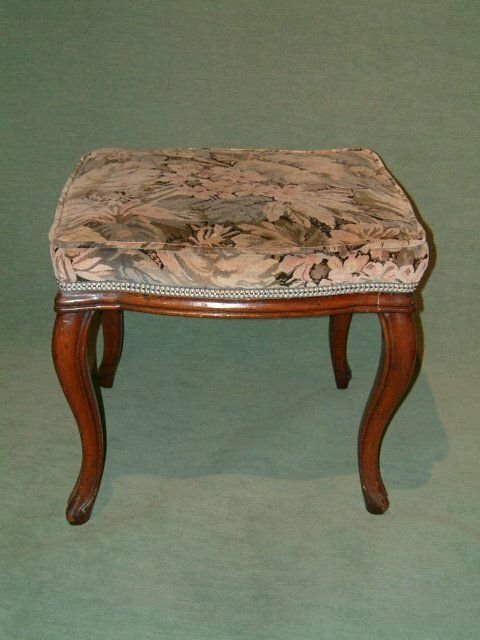 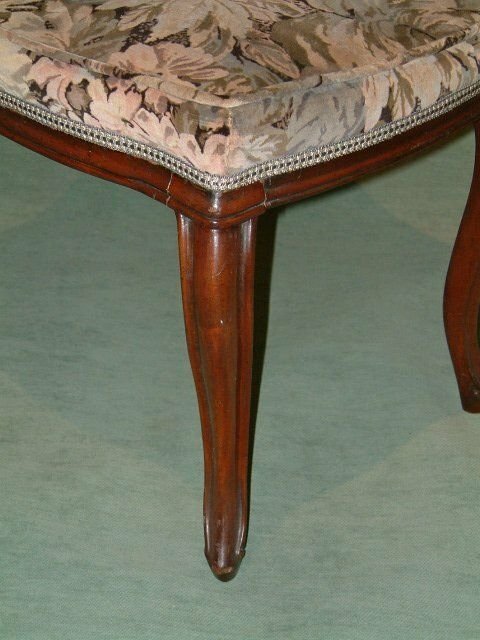 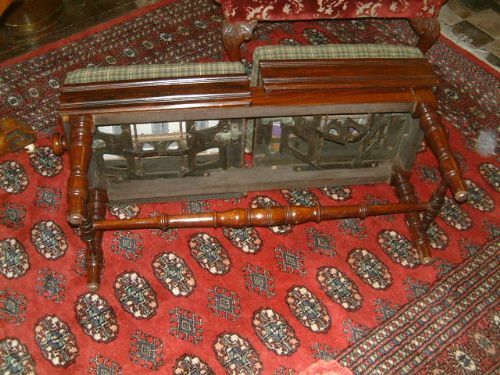 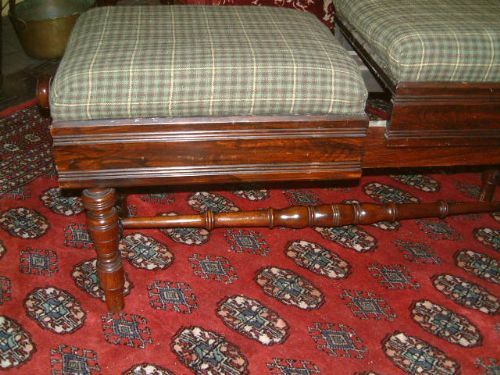 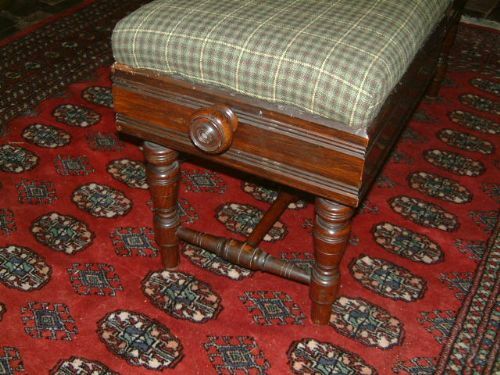 Victorian Rosewood Stool with Carved Cabriol Legs, with Tapestry Top Depicting Flowers. 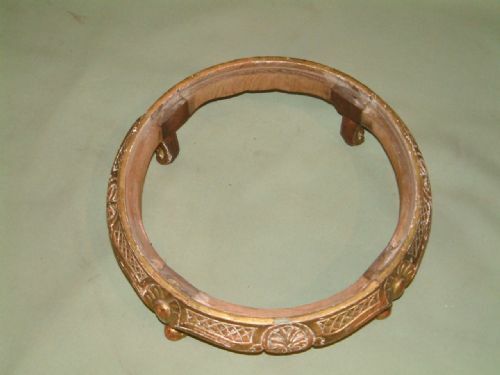 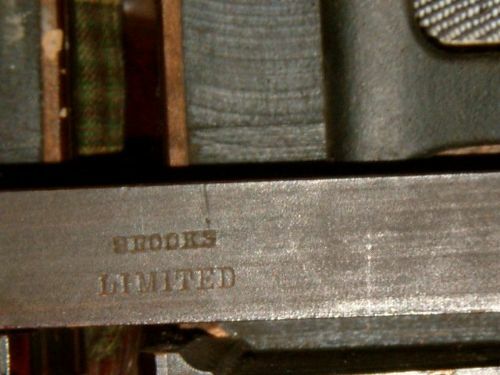 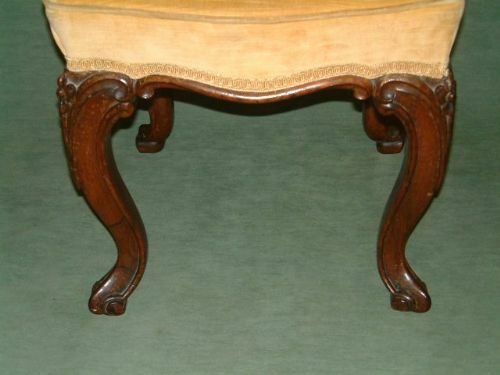 On Ring Turned Supports with Later Upholstery. 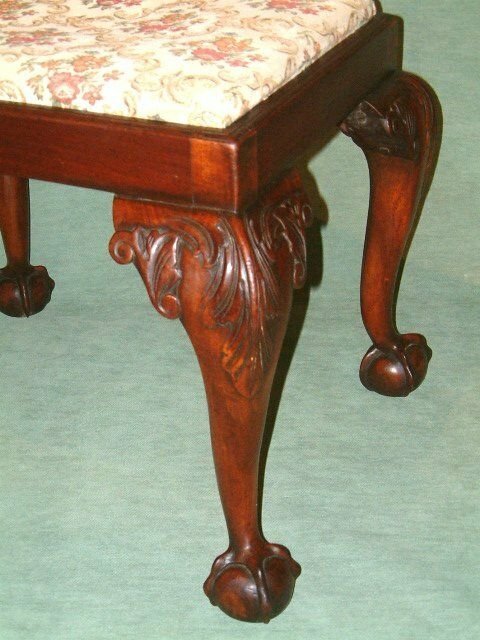 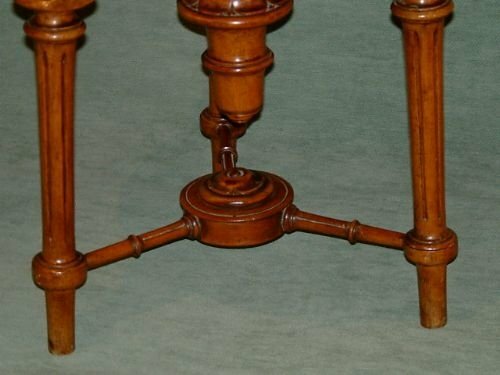 Victorian Walnut Revolving Piano Stool with Carved Decoration supported on Reeded and Carved Legs. 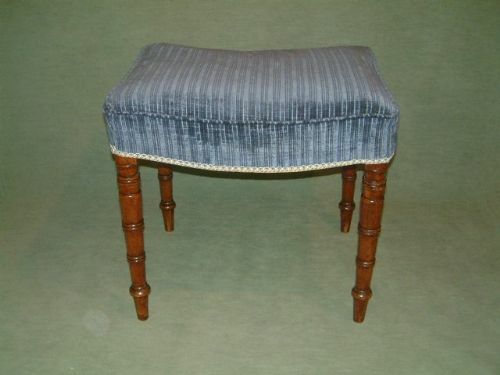 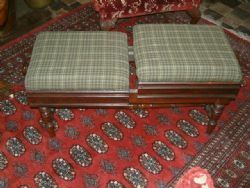 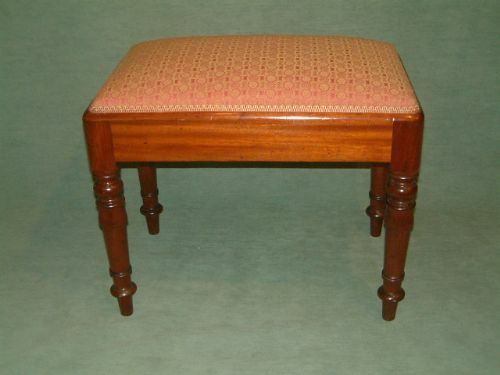 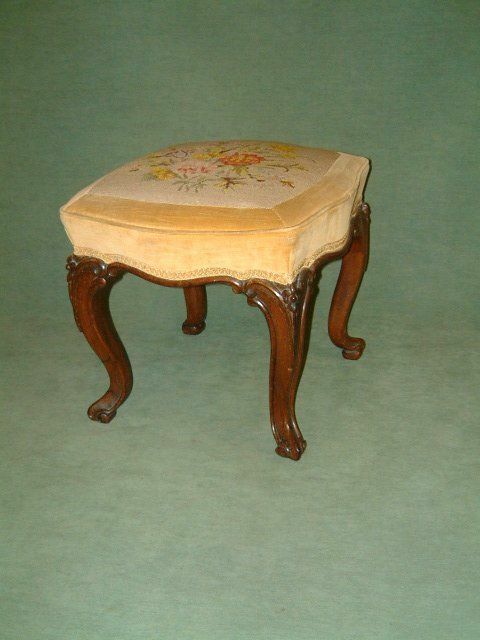 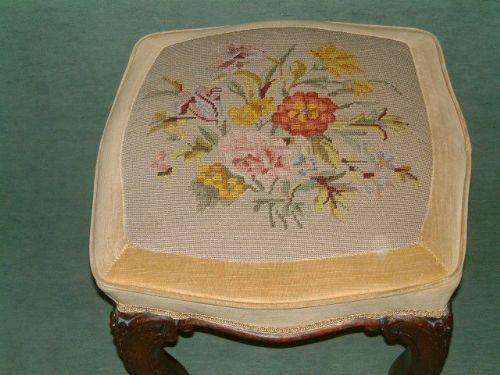 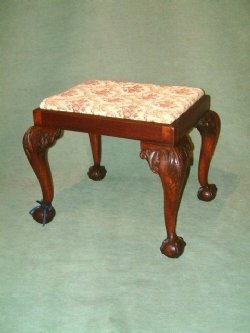 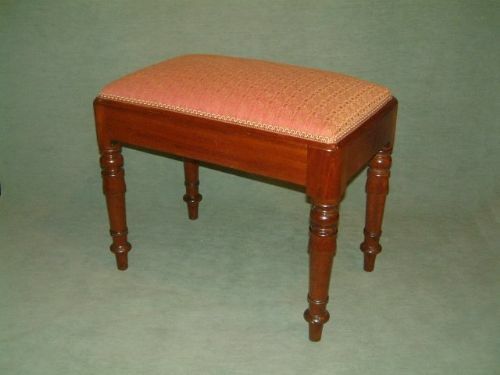 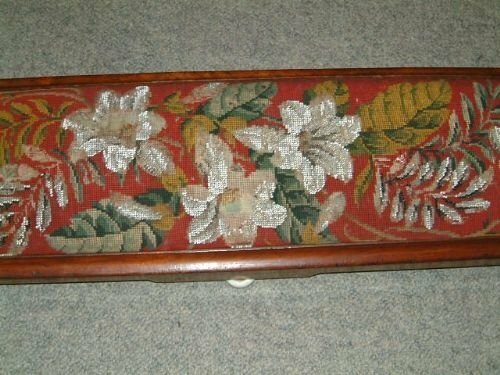 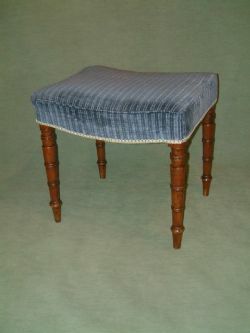 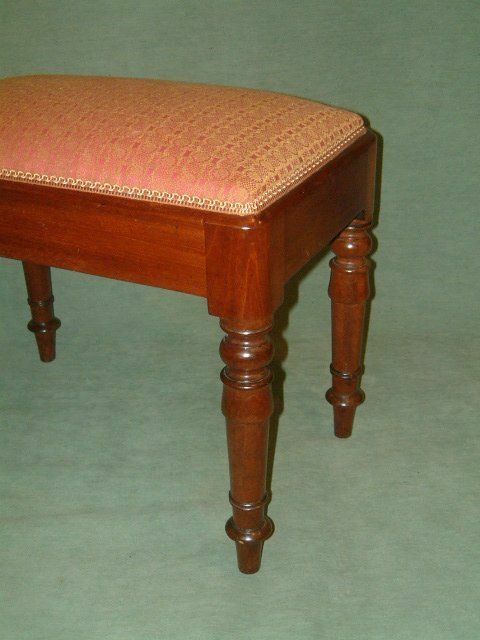 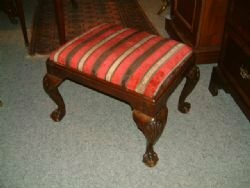 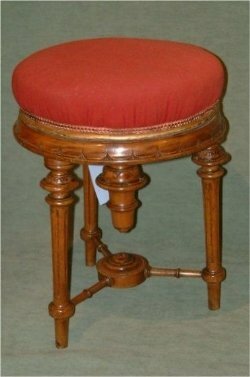 Victorian Beadwork Stool with Tunbridgeware Inlay the Original Beadwork Top Supported China Feet. 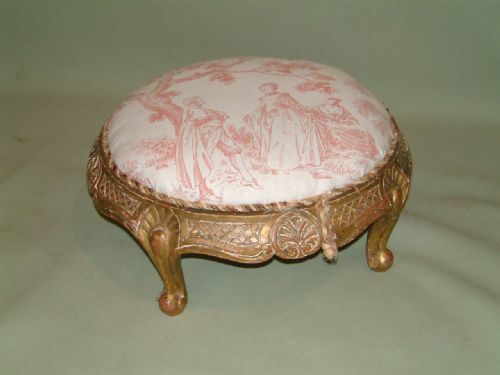 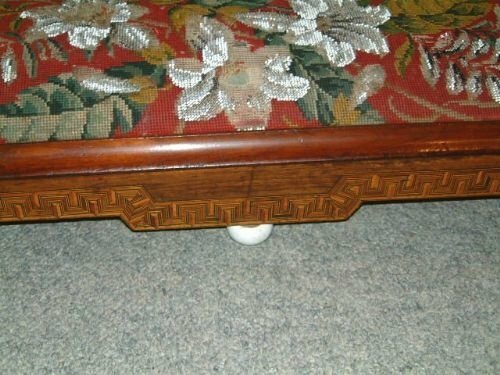 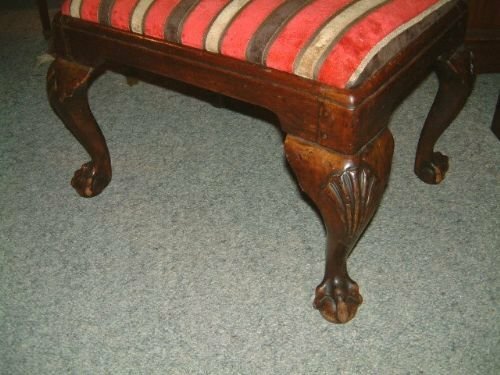 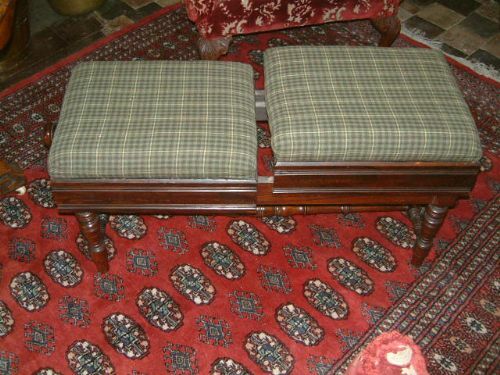 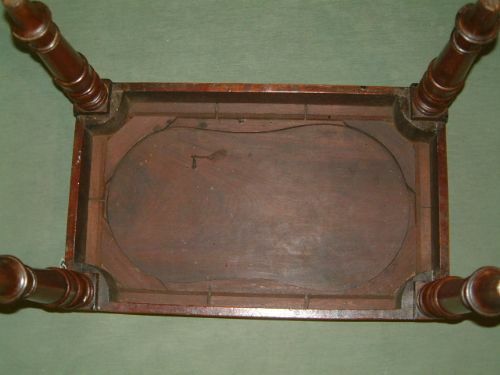 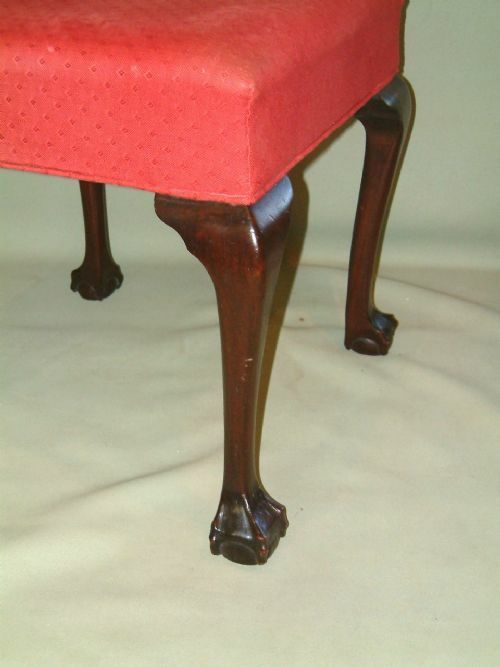 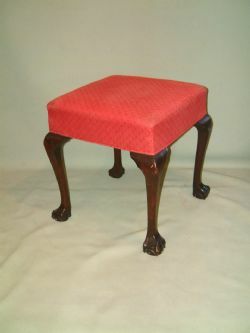 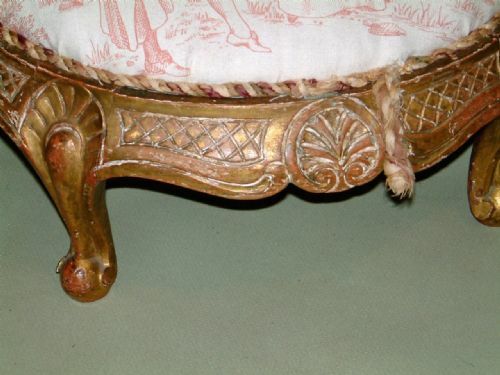 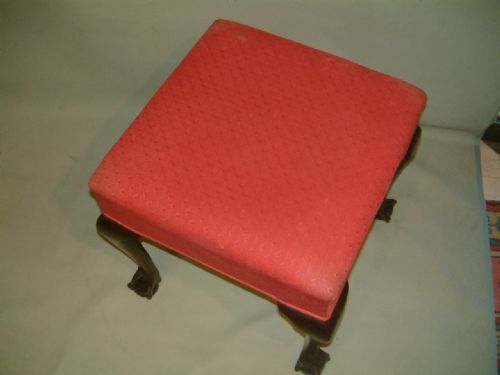 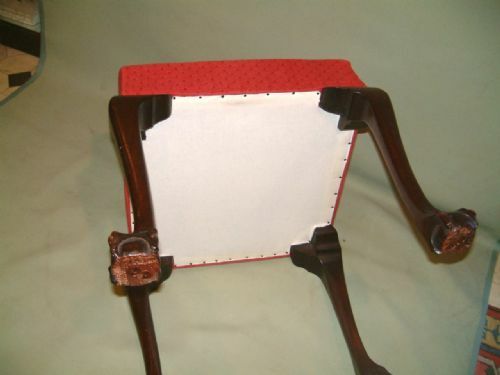 19th Century Foot Stool with Ball & Claw Feet. 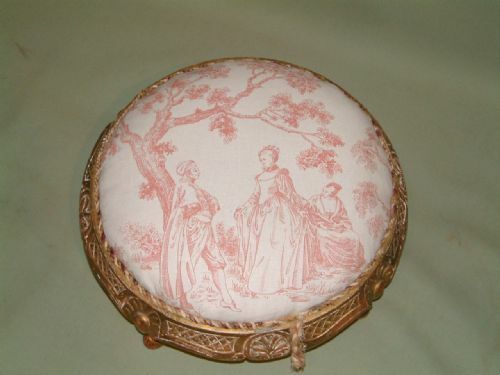 Charming Small Size with Good Carving. 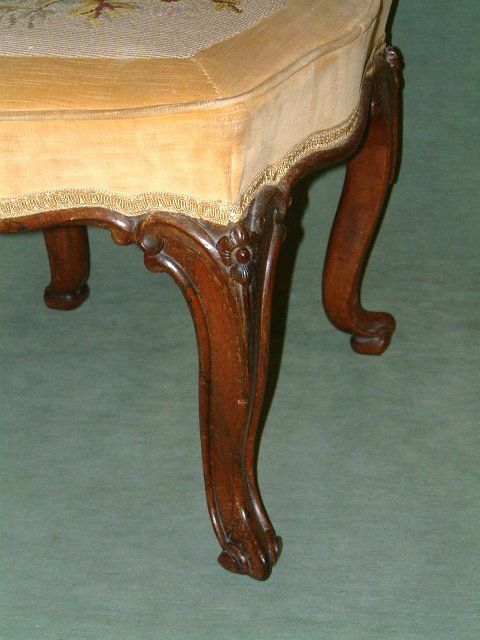 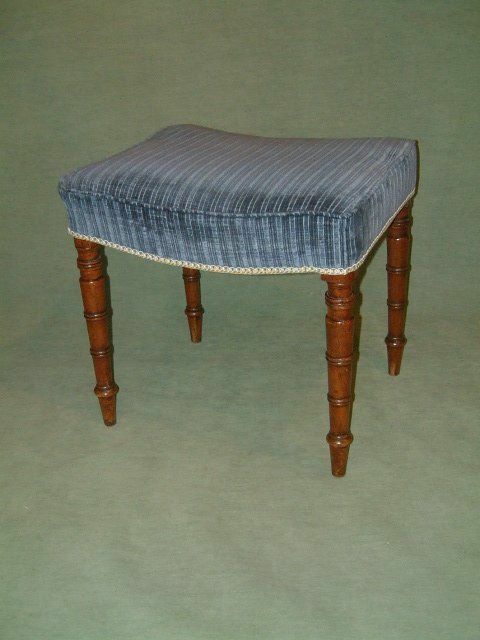 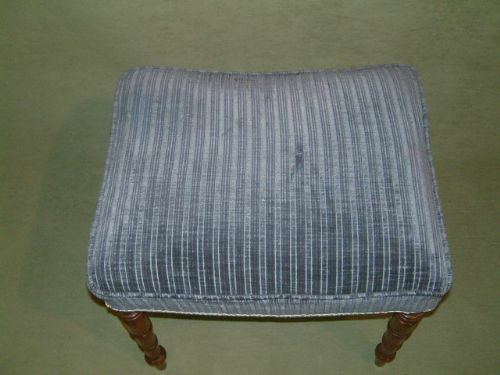 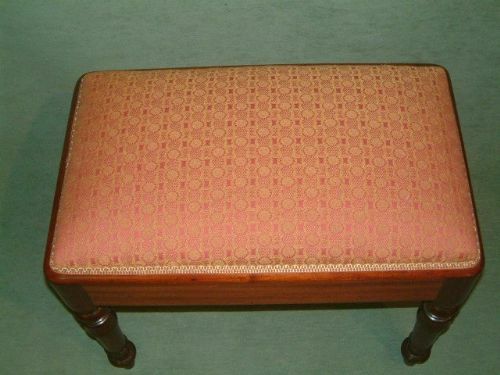 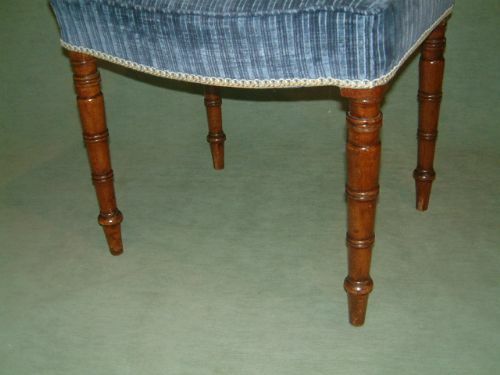 Upholstered Top Supported on Serpentine Cabriole Legs.